ShowStoppers takes place on the first regular day of CES, where I was most impressed by news from an outlet that isn’t at the show. That morning, the NPR hourly news team thought it worth reporting that Apple had covered a hotel with a 13-story billboard chiding Google for its security practices. From the Las Vegas Convention Center, you couldn’t miss the display. I’m sure it wasn’t cheap, but compare that expense with the millions of dollars for large displays at the show and other costs. Samsung alone has enough people in town to devote a private fleet of limos shuttling them around. 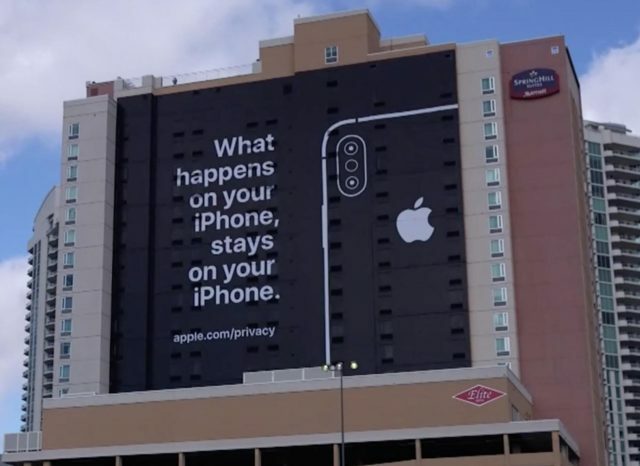 Apple hasn’t exhibited at CES for ages—the company gave up on trade shows because it gets better press coverage with its own events—but at 9 AM Pacific, that billboard wasn’t merely top news from CES, it was noteworthy enough to be one-tenth of NPR’s top news, period. I suspect that has Google marketers—who brought a roller coaster this year—are grinding their teeth so badly that they’re at the CES Digital Health Forum asking about dental technologies. Note: A few products below were held over from the Pepcom show because I was still confirming some details (see “CES 2019: Pepcom Shows Off Futuristic Displays and More,” 11 January 2019). If you’re diabetic, tracking your blood sugar the traditional way is not fun. The standard method is to prick your finger and put a drop of blood on a measurement device. And if you want to stay healthy, you might do that a few times a day because blood glucose varies. 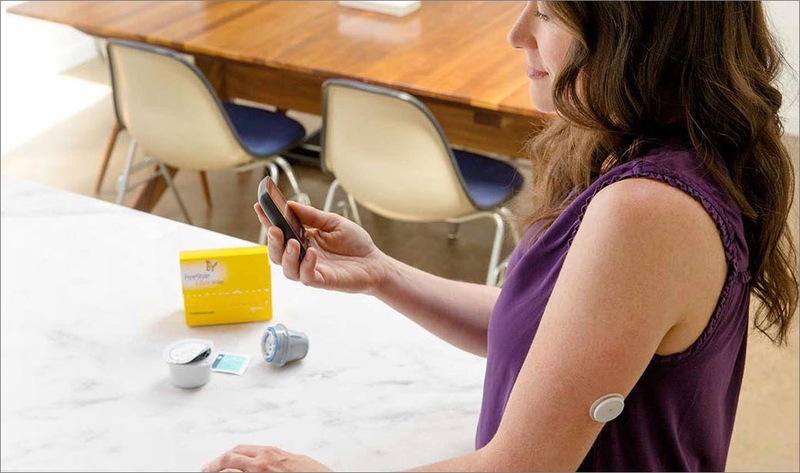 The Freestyle Libre is a 14-day sensor that you apply to your arm with a patch. A painless subcutaneous probe measures glucose continuously and relays that data to a standalone reader or an app on your iPhone. As with most American medical devices, the price varies based on your insurance and the phase of the moon—Abbott says that most people with commercial insurance will pay $40–$75 per month. 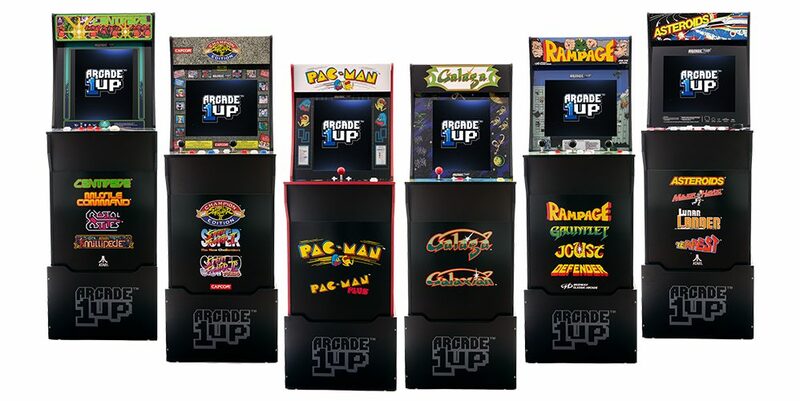 If you frequently ran out of quarters in the 1980s, you might be interested in the Arcade1Up Wall-Cade, a mini-version of the old freestanding cabinets. They’re designed to be set on a desk, hung on a door, wall-mounted, or set on the floor with a riser. They come with a selection of vintage games designed for the full-sized controls in each. There are currently six models available—the one with Rampage, Joust, Gauntlet, and Defender is clearly the best. At CES, the company announced that five more collections would ship in 2019: Final Fight, Space Invaders, Golden Tee, Mortal Kombat, and Karate Champ, and more to be announced at the E3 show in June. Each will set you back 1196 quarters or $299. One sure way to catch the attention of passing journalists is to stand in front of your product with a tray of freshly baked cookies. 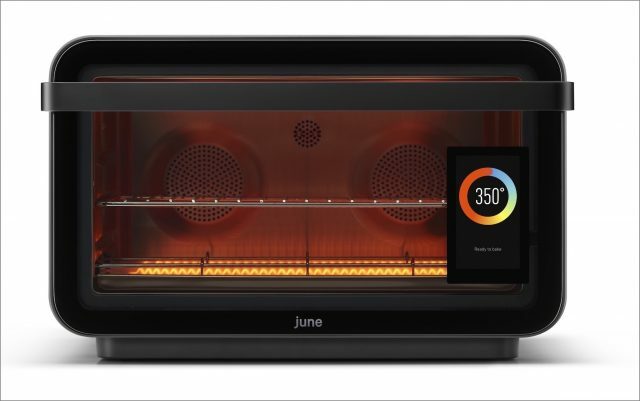 The June smart oven is a space-saving kitchen multifunction gizmo—it works as a convection oven, air fryer, dehydrator, slow cooker, broiler, toaster, and warmer—with built-in smarts to automatically cook many items with pre-programmed cooking cycles. Shove your food in, and a camera will attempt to figure out what it is and suggest a cooking method. A smartphone app lets you remotely monitor your dinner’s progress so you don’t have to stand in front of the display. A subscription service brings you regularly updated recipes for the June’s database, and a partnership with Whole Foods lets you pick ingredients at the store and have the June app suggest what to do with them. It’s reportedly big enough to cook a 12-pound turkey (12.75 x 19.6 x 19 inches, or 32 x 49 x 48 cm), or presumably a 14-pound turkey if you whack it enough with a hammer. The June ships next month for $599 with some accessories; another $200 adds more pans and baskets, a three-year recipe subscription, and a two-year warranty. You might have a Measure app built into your iPhone these days, but not everything you have to measure is line-of-sight. The Moasure ONE is a handheld measure that can work with distances and angles regardless of what’s between them. 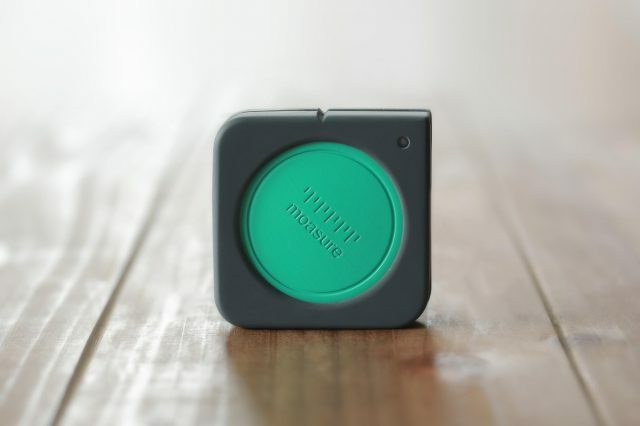 Place the Moasure ONE at the beginning of what you want to measure, tap the big green button to start the measurement, and then place the device at the end of the measurement regardless of any walls or hyperactive children between the two points. Currently in production and available for pre-order at $149, the Moasure ONE will ultimately retail for $249. A free app will turn your iPhone into an ersatz Moasure ONE with lower precision. The executive who gave me his card said that Moasure was named after the word “measure,” and I’m sure it’s just a coincidence his name is Mo. Every once in a while you run across a company looking to do well by doing good, and MPowered qualifies in spades. Its Luci 🎁 series of low-power LED lamps and chargers all have built-in solar chargers, and MPowered makes them available in parts of the world without reliable access to electricity. 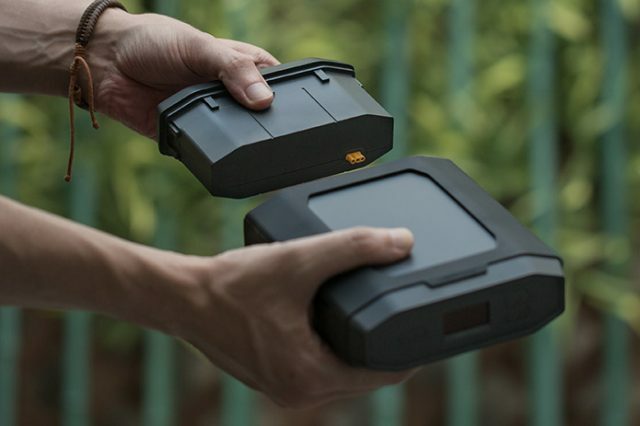 The Luci Connect model, which costs $65 and is available this month, charges in 14 hours by solar or 2–3 hours by USB, and it provides up to 50 hours of light or 2000 mAh to charge your devices. 12 RGB LEDs accompany the 24 white ones, and a smartphone app lets you set any color you like. 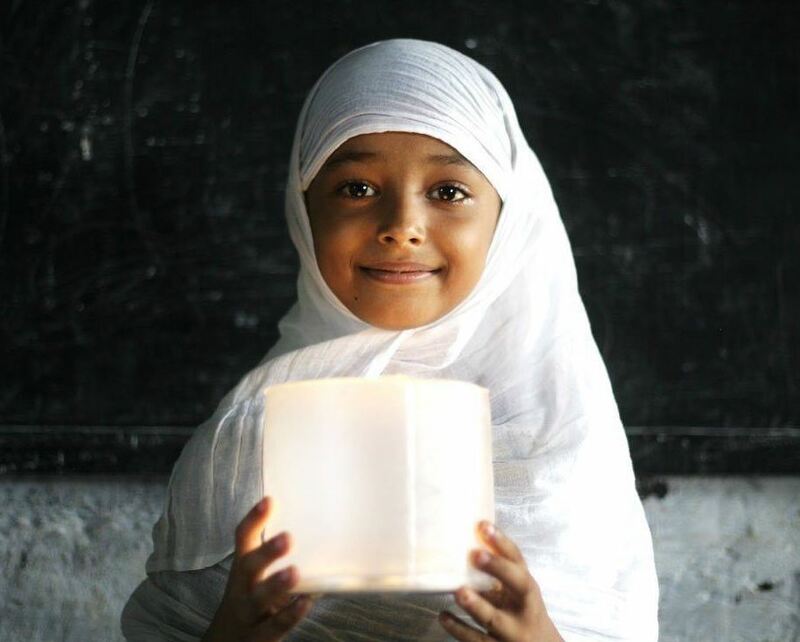 The company’s product line starts at $14.95, and if you feel so inclined, you can donate $10 to provide lighting to people who otherwise don’t have any. Hey, who doesn’t love the fact that Alexa devices continuously record you and sometimes send those recordings to your friends? You? You don’t love that? Enter Smarte’s Mute+, a $24.99 timed dampener that sits on top of your Amazon Echo, Echo Plus, or Echo Dot. Set it to how long you want to prevent your Echo from listening to you, and a series of LEDs remind you how long until it turns off. Oddly, the maximum time you can block the Echo from listening is one hour. Sure, you could do the same thing by upending a vase and using it as Cone of Silence, but then you have to remember to remove it. Horrifying. If you want to ask a device to tell you the weather, play streaming music, and control your home automation, but you don’t trust Amazon, Google, or even Apple to do the right thing with your data, you’ve been out of luck. 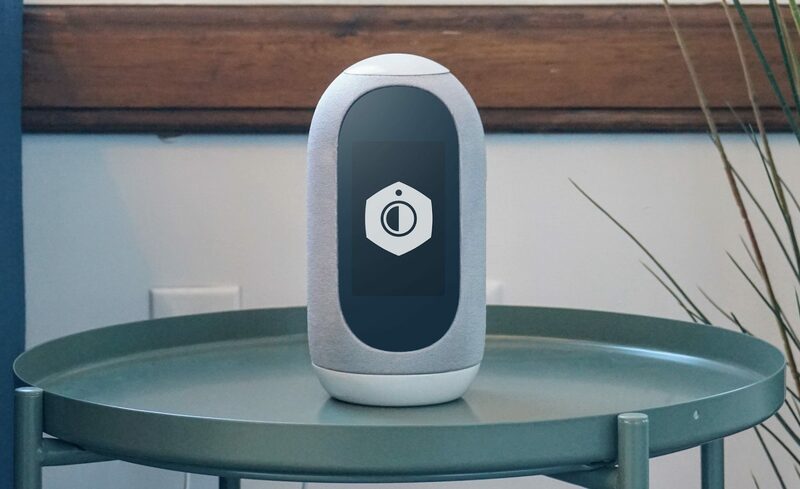 Mycroft AI intends to fill this gap with its Mark II voice assistant, shipping in April 2019 for $189. The key selling point of the Mark II is that it’s entirely open-source—that means that anyone with suitable skills can download all the programming that goes into it and see exactly what it’s doing and what data it’s sending. But it’s still a cloud device for most questions, so you still have to trust Mycroft AI to do the right thing—you can’t see what the company does with the data it gets. That said, a commitment to open source is congruent with the right privacy intentions. Users can opt-in to improve what questions the Mark II can handle by submitting what they’d like to ask—which is another way of saying that it won’t integrate with Siri, Google Assistant, or Alexa, and you can’t necessarily use it to control devices in those ecosystems. Kind of the point, but also kind of limiting. It’s impossible to sneeze at CES without getting a rechargeable battery wet, but OmniCharge’s offerings stand out by virtue of their huge capacities. The Omni Mobile 26,800 mAh is the largest battery allowed to fly on a plane, will charge your 13-inch MacBook Pro as fast as its charger, and comes with USB-C, USB-A, and DC-out ports. It costs $149.99, but you can get it for $99 on Indiegogo. Meanwhile, the Omni Ultimate has a ridiculous 40,300 mAh (at that point, just call it 40.3 amp-hours) and includes a regular plug like the one in your wall. If that’s not enough, the battery is hot-swappable and you can buy extras. 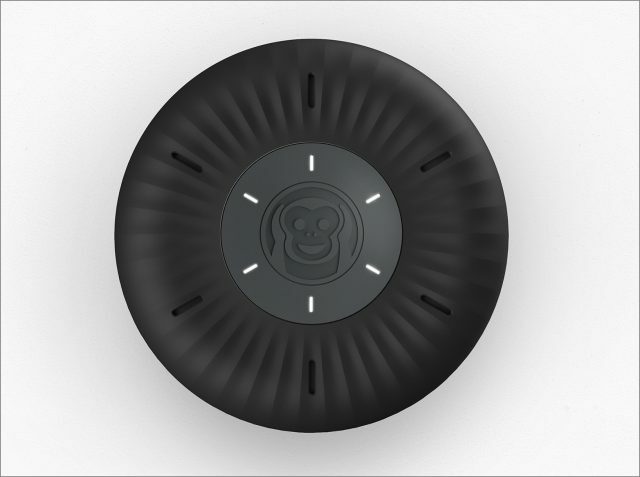 It’s currently $349 on Indiegogo and shipping this month—once it’s available for retail, the expected price is $599. In a world of fiber-optic services and Netflix, it’s easy to forget that you can still get TV over the air (OTA to industry wonks), even if you’re a cord-cutter who doesn’t subscribe to any cable channels. But there are still channels out there in the ether—and digital broadcast means four times as many channels as you used to get on rabbit-ear antennas. (Digital broadcasts also mark the end of the old television static that, believe it or not, was caused by cosmic rays. With digital broadcast, you either get a clear image or nothing at all.) 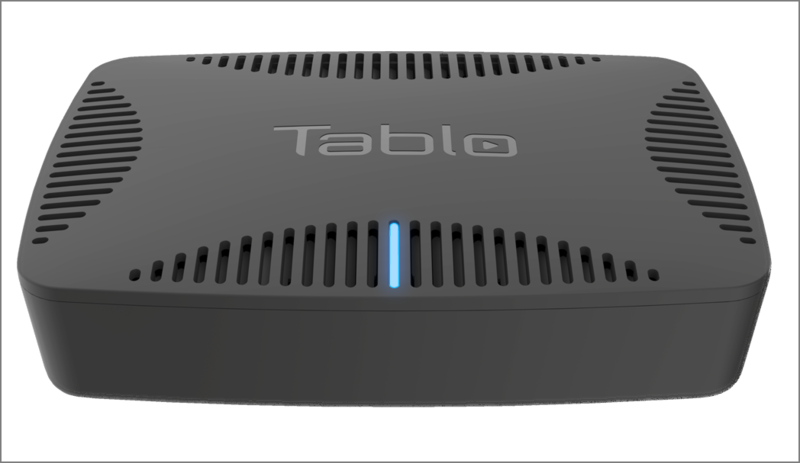 DVRs have been around for a while to provide on-demand recordings of OTA, but the Tablo Quad ups the ante with four different tuners. If you still need to decide which shows to record, you’re watching too much TV. The Tablo Quad includes a suite of apps that can throw your recordings to pretty much any device you can think of, including your Mac and iPhone, and if you subscribe to its monthly service you don’t need to be home to watch them. (You’ll want to subscribe, otherwise you don’t get TV listings to help you set recordings.) The subscription also includes an automatic commercial-skip feature, now in beta. The Tablo Quad costs $179.99, but you’ll need to add your own hard drive (either an external USB or an internal SATA), because in the words of the company exec, “my customers can buy drives cheaper than I can.” An 8 TB drive can store 4000 hours of TV, which should keep you going for a while. After the initial month, the subscription service will run you $4.99 per month. It’s slated to become available in March 2019. It’s been two years since I last covered Yubico’s YubiKey 🎁 (see “CES 2017: From Laundry to Play-Doh at Showstoppers,” 9 January 2017), a USB authentication device that prevents people from logging into your accounts if they don’t have the physical hardware. Since then, YubiKey has improved ease-of-use, which was desperately needed. At the company’s Web site, you’ll find step-by-step instructions to set up hardware authentication for popular services. The YubiKey 5 Series optionally allows password-less authentication—in which case the hardware is the only way in—but then you’re no longer two-factor. 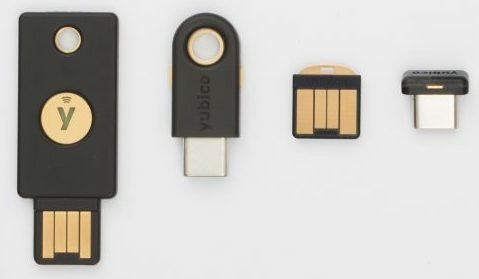 The best practice is to buy two YubiKeys and register both for your accounts, so if you lose one, you can fetch the other from the safe location where you stored it. YubiKey 5 Series keys come in USB-A and USB-C varieties and in two form factors: a USB stick, and a flat “nano” profile designed to be left permanently in a USB port. Available now, for between $45 and $60. Another example: damping the Alexa microphone helped prevent the newlyweds’ enthusiasm from being dampened. It’s a fair cop, guvnor! Four tuners in an OTA DVR is not a new feature. TiVo has had four tuners in an OTA model since at least the Series5 Roamio, which was introduced in 2014.